Alternative home construction is the use of available resources to create a custom home. We've collected our favorite books on Alternative Styles of Construction and put them together on one bookshelf! 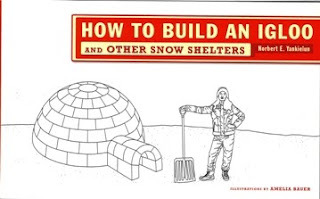 The Alternative Buildings Shelf includes over 30 titles including such topics from "How to Build an Igloo" to tent construction, straw bale, burmed homes and even eco-friendly suburb development. All books on this shelf are on sale. Each month we’ll highlight a particular “Book Shelf” and all books on that shelf will be 30% off! Purchase one book from the Featured Shelf each month for six months and receive a 25%-storewide-discount card. We'll track your purchases and send your discount card with your last purchase (discounts applicable to in-stock items only, no special orders and cannot be combined with other discounts). Don’t see the book you have been looking for in our online selection, give us a call and we’ll see if we have it on the shelf in the store. If we do, you can include it in your book order and it will count toward that free book! Need a suggestion? Do you have a particular topic or question that you're trying to research? Or perhaps this is a gift for someone who has been excited about a particular topic -- let us know and we can make a recommendation! Our knowledgeable staff spends hours combing through the books, reading and reviewing them for your benefit. Email us your inquiry, and we'll make a suggestion of where to find the answers! The sale is applicable to in-store purchases as well as online purchases so if you’re in the area, please stop by for a visit. Sorry, but we cannot special order books as part of the “book shelf” sale program. Special orders are always welcome however, under regular circumstances.